Mining Operations /Hawks Aloft Inc.
El Segundo Mine, northwest of Grants, New Mexico, is a surface coal mine run by Peabody Energy. The mine is responsible for surveying raptor distribution and productivity as part of its permit requirements. 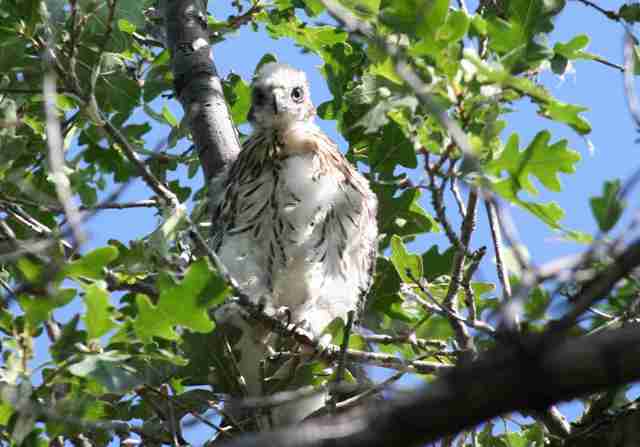 In 2006, Hawks Aloft was hired by El Segundo Mine to monitor raptors within the mine permit area, and a 2-mile buffer zone outside the mine lease. Over the past eight years, Hawks Aloft biologists have discovered over 60 active nests during these summer surveys. Raptor species observed over the years include: American Kestrel (Falco sparverius), Burrowing Owl (Athene cunicularia), Great-horned Owl (Bubo virginianus), Ferruginous Hawk (Buteo regalis), Golden Eagle (Aquila chrysaetos), Long-eared Owl (Asio otus), Prairie Falcon (Falco mexicanus), and Red-tailed Hawk (Buteo jamaicensis). For a glimpse into our current work at El Segundo, read “Poking around the Ranch,” an article by Mike Fugagli, our lead biologist on this project. 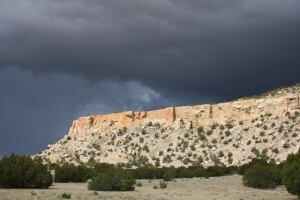 McKinley Mine, near Gallup, New Mexico is responsible for surveying raptor distribution and productivity as part of the mine’s permit requirements. Raptors were monitored within the mine lease area, and a 2 mile buffer zone outside the mine lease. Species found in this area included: Golden Eagle, Cooper’s Hawk, Red-tailed Hawk, Prairie Falcon, Peregrine Falcon, American Kestrel, Great Horned Owl, and Burrowing Owl. 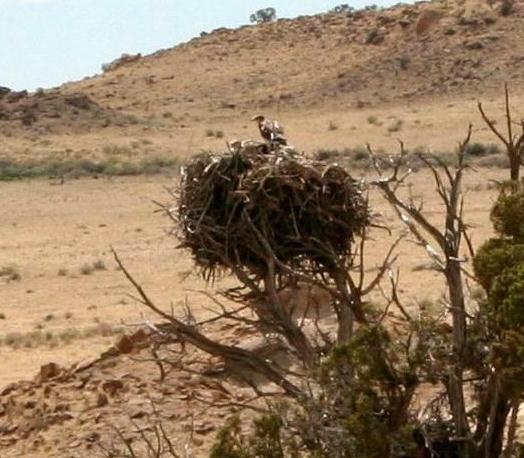 Previously, Hawks Aloft has also conducted raptor distribution surveys for BHP-Billiton Navajo Mine and San Juan Coal Mine in the Farmington, New Mexico area. Summer and winter wildlife surveys were also conducted to monitor wildlife use of reclaimed areas. Species that utilized this habitat included: Golden Eagle, Northern Harrier, Red-tailed Hawk, Prairie Falcon, Peregrine Falcon, American Kestrel, Great Horned Owl, and Burrowing Owl. Uranium mining was a significant industry in New Mexico from the early 1950s until price declines forced the closure of many mines in the early 1980s. Active uranium mining ended in New Mexico in 1998. However, rising uranium prices have created new interest in mining in the United States. Currently, several companies, including Neutron Energy, Inc. (NEI), are permitted to resume active drilling in the historic Grants mineral belt. The survey area is located 40 miles northwest of Albuquerque, New Mexico. Hawks Aloft, Inc. was originally contracted in 2007 by NEI to conduct surveys for threatened, endangered, or special status avian or plant species. Since then, we have focused our surveys on raptors, Loggerhead Shrike (Lanius ludovicianus), and the New Mexico state listed threatened species, Gray Vireo (Vireo vicinor), based on data collected during the original baseline surveys and subsequent surveys. Surveys have resumed each year to conduct species-specific surveys, raptor monitoring, and document other songbirds using the area. The primary goal of these surveys is to provide ongoing data regarding the status of species of conservation concern as part of the permitting process and to assist NEI with long-term management plans.